The focus of the Center for Robust Speech Systems is to provide excellent education in modern speech signal processing and language technology with an emphasis on fundamental engineering breakthroughs, balanced with core foundations in speech, language, audio and hearing sciences, as well as related aspects of machine learning. Our graduates are uniquely qualified for rewarding and successful careers in education, industry and research laboratories interested in speech and human-computer interaction. Oct.2nd, 2018: Congratulations to CRSS for receiving $3 Million Grant for Cochlear Implant Project! 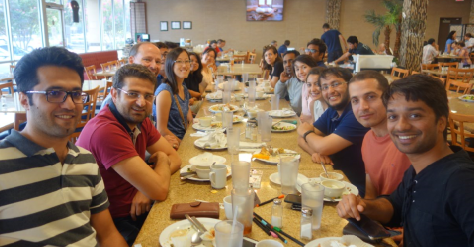 Apr.22th, 2018: Congratulations to CRSS student Juliana Saba! 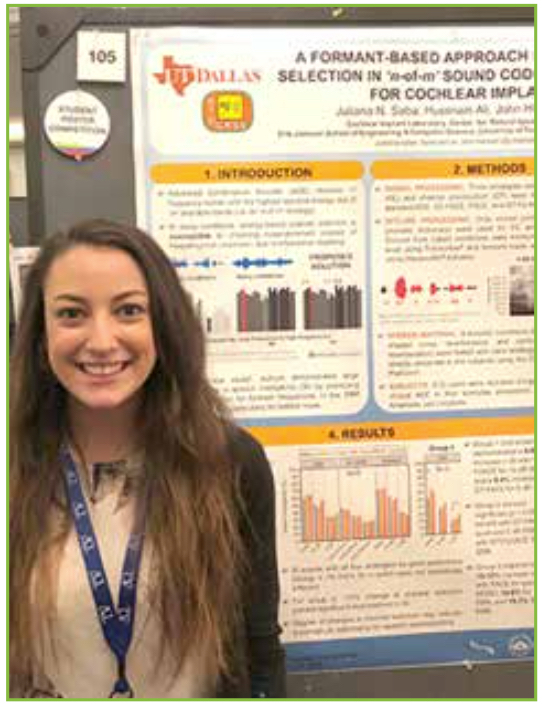 She won the best paper award at Cochlear Implantation 2018 for her paper "A Formant-Based Approach for Channel Selection in 'n-of-m' Sound Coding Strategies for Cochlear Implants! 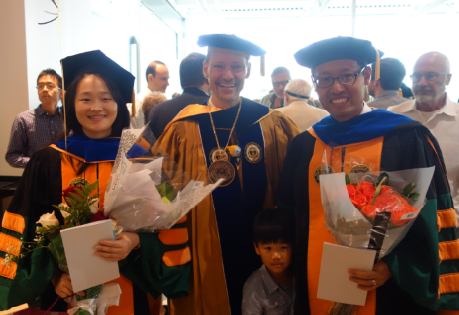 May.10th,2017: Dr. Jawwook Lee and Dr. Dongmei Wang, officially hooded today in the PhD Ceremony this afternoon. 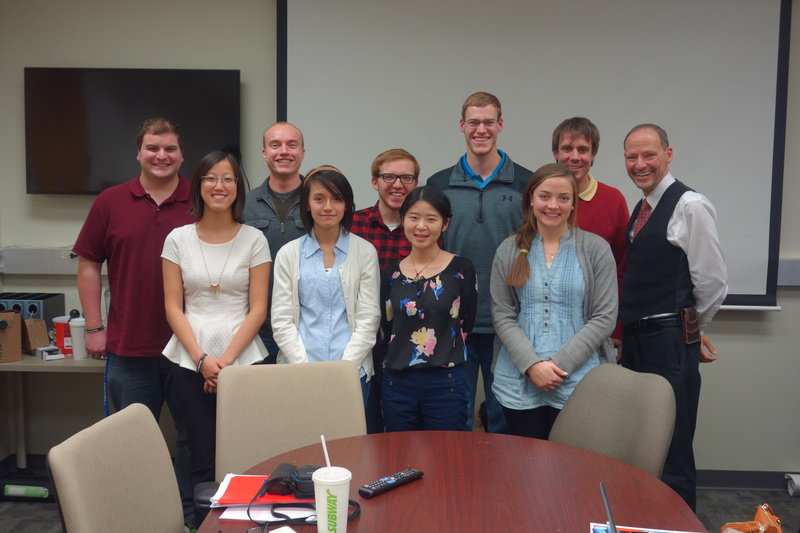 Dec.8th,2016: University of Wisconsin, Platteville, students visited CRSS and gave talks on their work with Prof. Hynek Boril. 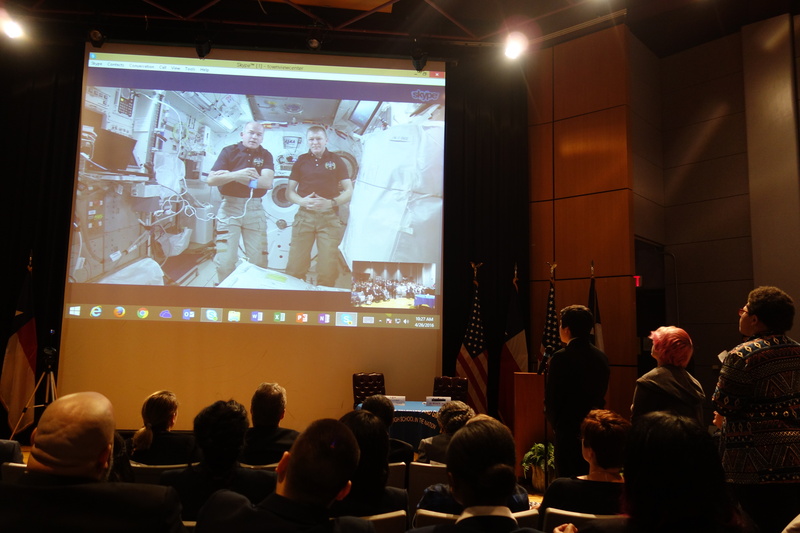 April.26th,2016: CRSS participated in an event organized by U.S. Congresswoman Johnson, where NASA Astronaut Jeff Williams and ESA Astronaut Tim Peake joined live through a video link from the ISS: International Space Station. 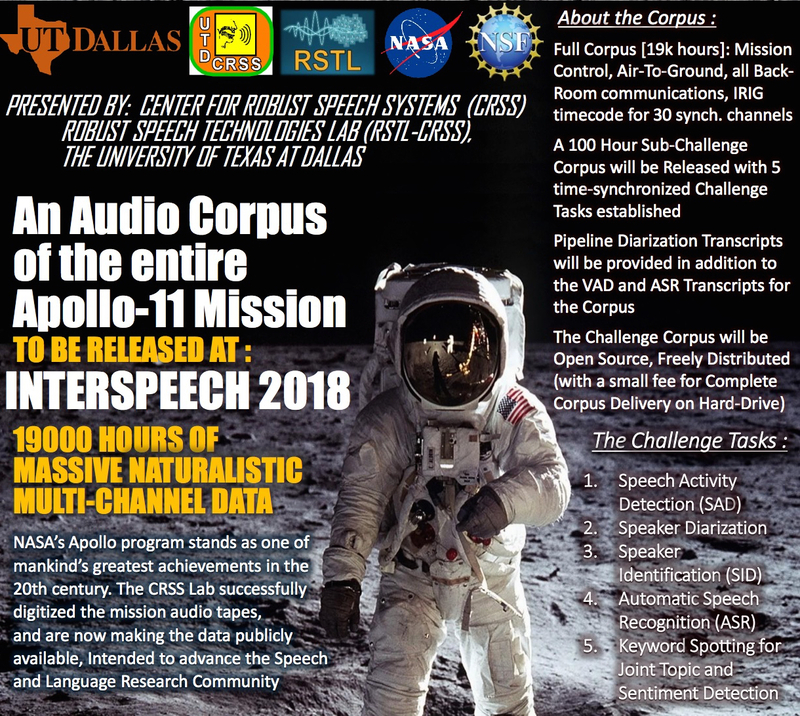 Dr. John Hansen gave a presentation to the Astronauts and the audience present about the work done in CRSS on speech/language processing of audio from the Apollo program. 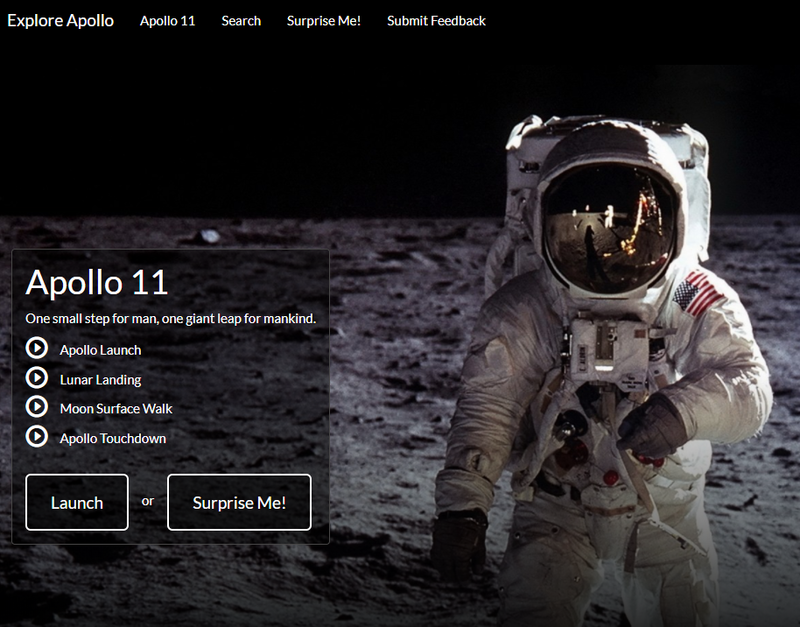 More details can be found here click here. May.13th,2015: Gang Liu, on his Doctoral hooding ceremony, was awarded the U.T. Dallas David Daniel Fellowship Award for his contributions to Language Identification and Speaker Identification research.